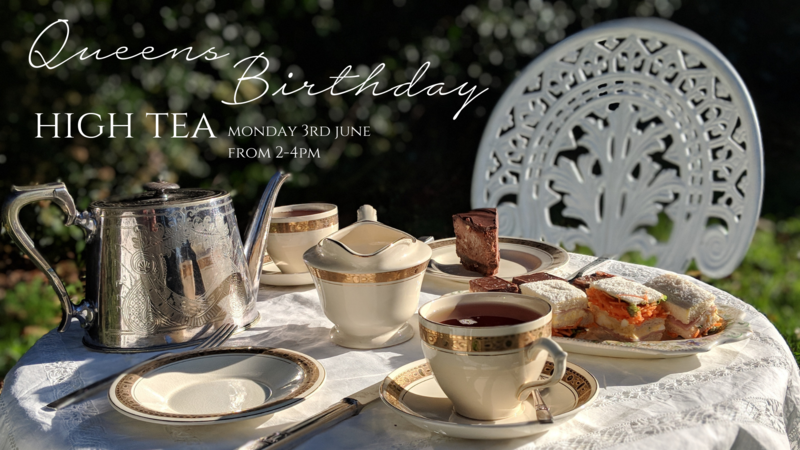 Celebrate the Queens birthday in true english tradition – with tea! Step back in time to an era where celebrating the moments and being present with one another is the priority. High Tea includes a selection of petit cucumber or ham sandwiches, a variety of sweet goodness including cupcakes, macarons, tea cakes plus Nespresso Coffee and a selection of teas. Bookings are essential, two sittings available at 2pm and 4pm.